Ben Gerrish is one of our crash test dummies based up in the South Lakes, who also makes a regular habit of travelling further afield to embark on riding adventures of the gnarlier kind. 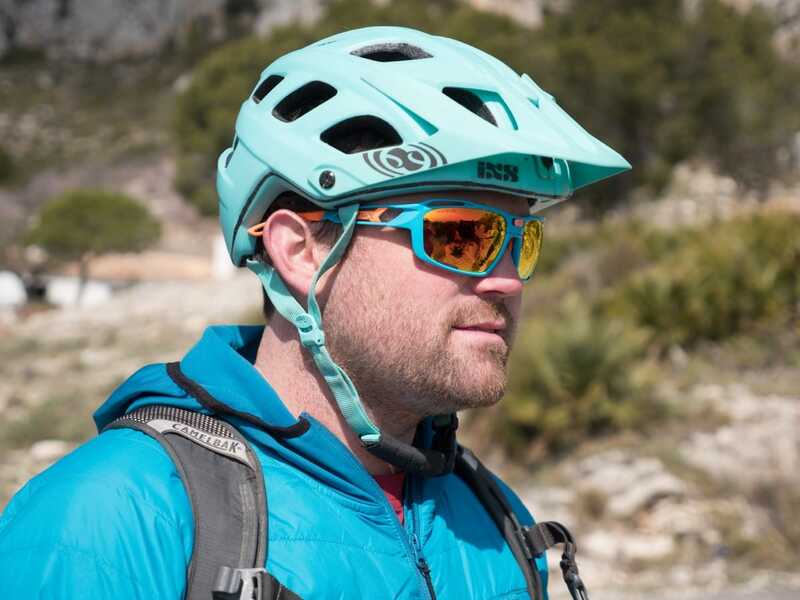 A speedy human on a bicycle, Ben also has a tonne of experience in the outdoors, making him an ideal candidate for testing out a lovely set of new shades from Italian eyewear brand, Rudy Project. Over to Ben! 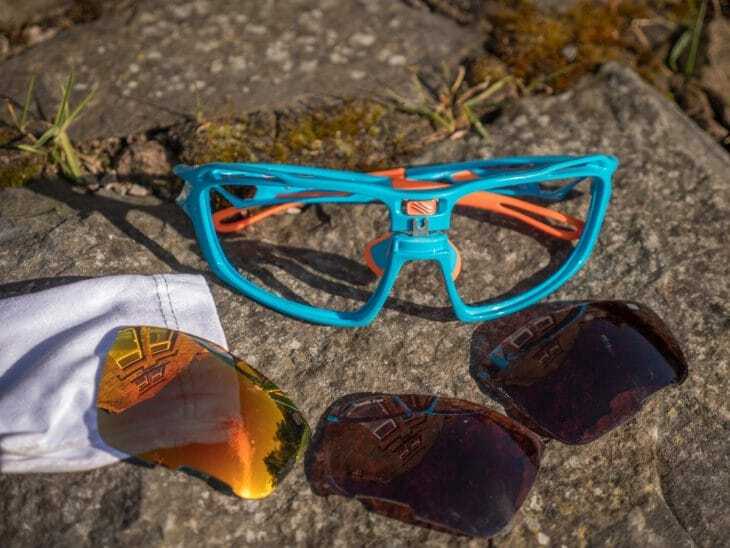 Rudy Project, better known for creating sports glasses for triathlon and road, has turned its focus to the mountain biking market to create the all new Sintryx model. 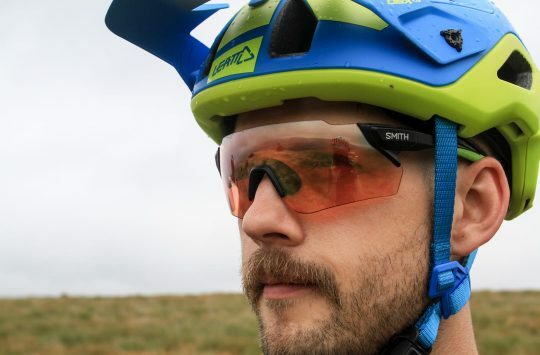 Employing a vast wealth of sports glasses technology, these are tailored to fit the demand and rigour of off road riding. A full frame design with an exaggerated peripheral coverage comes with decidedly roady-looking stylings, but the more you delve into the Sintryx, the more you realise there isn’t a milligram of design in there that hasn’t been well thought out. 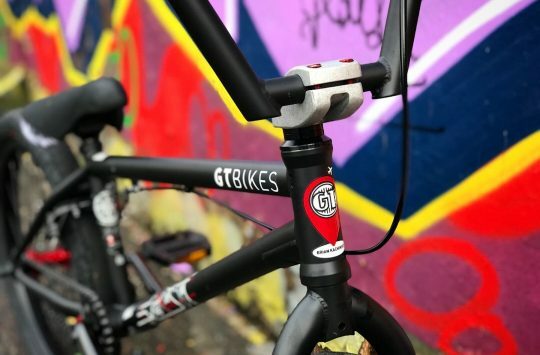 A combination of futuristic materials, safety features, comfort and trick bits for ease of use culminate in a highly functioning piece of kit. …this is Ben, but he needed a model, as he’s also the photographer. I spent years riding without glasses, each wet and muddy ride praying the small curved piece of plastic zip tied to the fork would somehow be effective enough to minimise the associated squinting and mud filled eyes as I ploughed through another rock garden with zero depth perception, tears streaming. The associated five minutes hosing my eyeball down with a water bottle convinced me numerous times to try some PPE. I have tried various solutions from high quality fashionable glasses, to clear polycarbonate fashion faux pas (some more at home in a woodwork class). From the comfortable to the expensive and to the down right useless, it’s safe to say I’ve not had much success in finding a do it all spec. 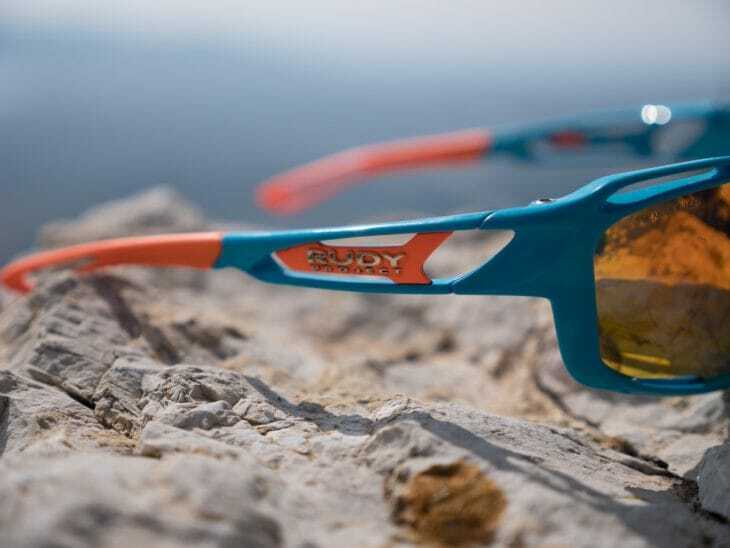 The Sintryx, unsurprisingly with Rudy Project’s heritage, scores well. Tweak and get things just so. A particular high score came with comfort. 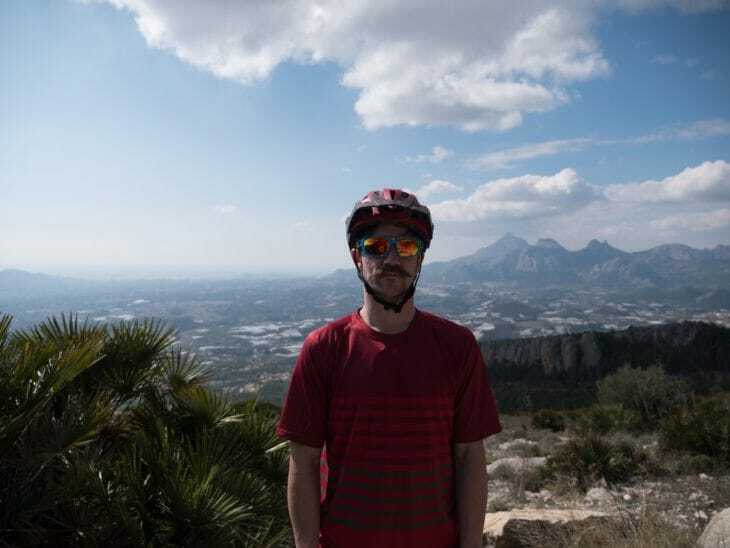 Whilst I appreciate everyone’s heads are different, it was down to the adjustable design features that I was able to get a nice snug fit whilst avoiding pressure points, which over the period of a long ride can build into some serious discomfort. 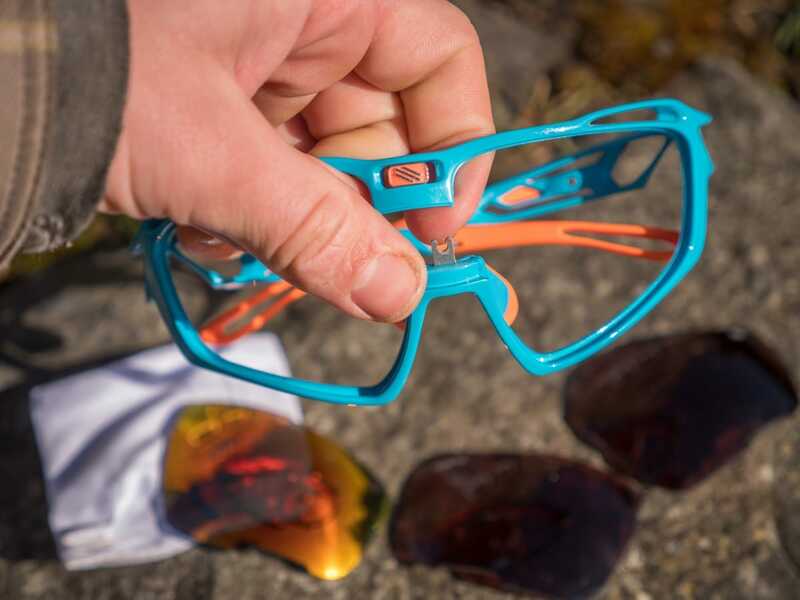 The easily adjustable temple section of the arms lets you tweak to alleviate pressure and make sure the glasses sit easily within your helmet – there’s nothing worse than the frame moving up and down on your nose every time you tilt your head back. 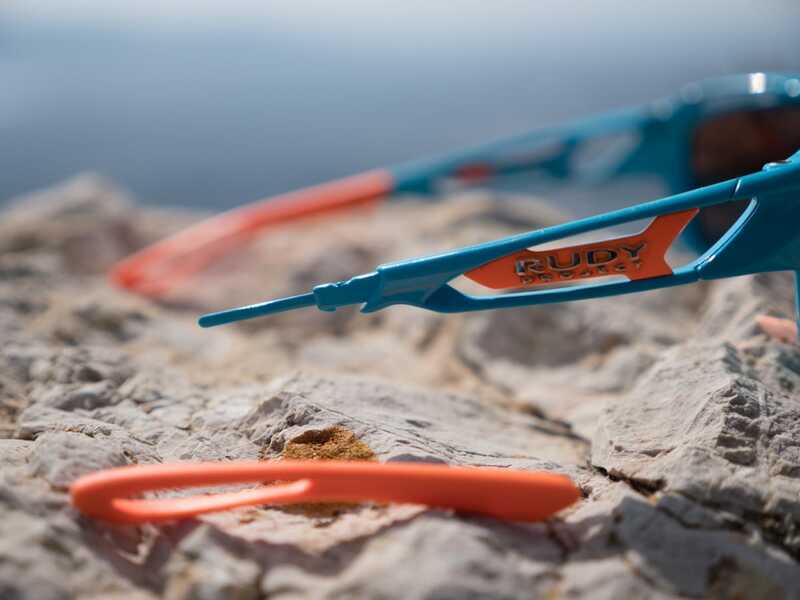 The fully adjustable nose pieces not only allow you to adjust for the width of your nose, but a full range of movement means you can change the height and distance the frame sits from your face, which also helps reduce steaming of the lenses. 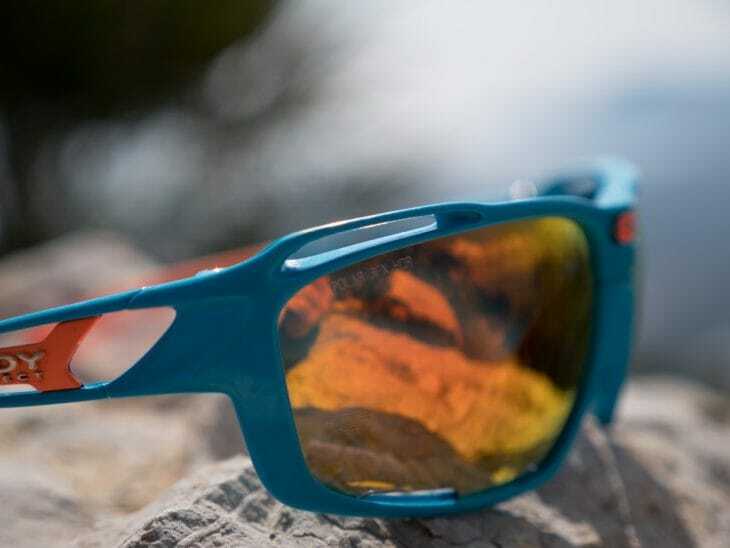 I’ve used the Sintryx in everything from 20°C to -2°C, rain and shine, with both the polarised lenses and the photochromic lens. Even on the damp days the lenses stayed remarkably clear in use. They are quite fast to steam up once you stop moving though, and I would assume then that the superior de-misting properties are largely down to the “Powerflow” system – built in vents in both the frame and also the bottom outside corner of the lens itself. 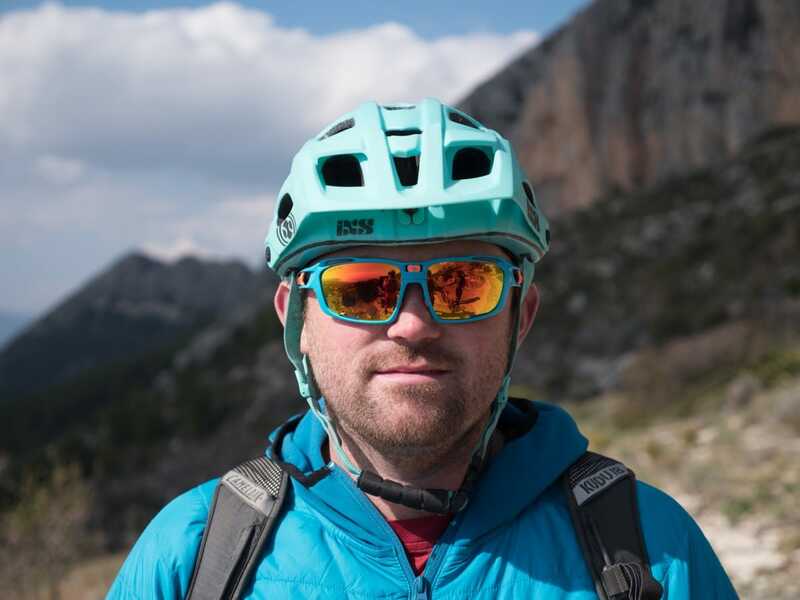 This presented a couple of issues at times, stopping to read the map for example, but a happy compromise over most other glasses I’ve tried, because even relatively slow speeds, climbing for example, kept them sharp and clear. 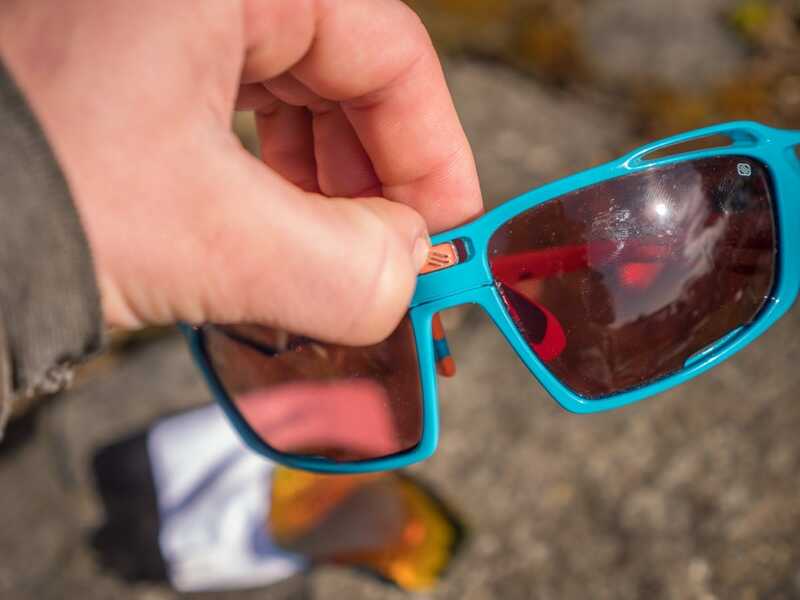 The lenses themselves pack some impressive and functional features. I had three sets, the RP Optics Smoke Black, which come as standard on the Sintryx, the Impact 2 Red and the Polar 3FX HDR. 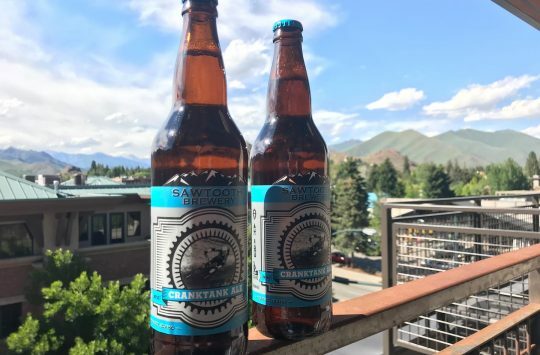 After an initial ride out with the Standard Smoke Black lens, it became apparent the other two options were more versatile. The obvious sunny day choice is the Polar 3FX HDR, Multi-laser Orange, bit of a mouthful but effective nonetheless. 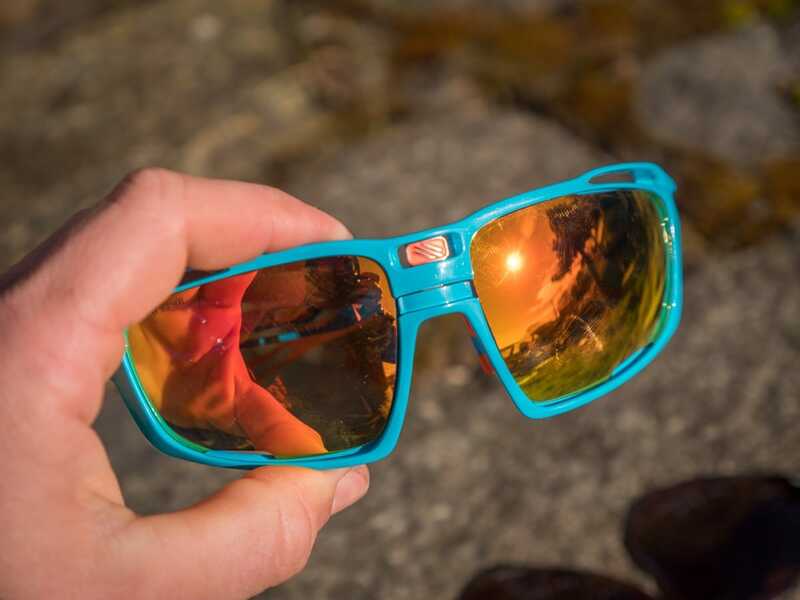 A bold sunset colour way on the outer lens and some quality polarising optics give all the advantages they pitched with: complete elimination of glare, better depth perception, all culminating in less eye strain and a more pleasurable sunny riding experience (Ed: What is this ‘sunny’ you speak of?). Everything looks rosy and lovely. 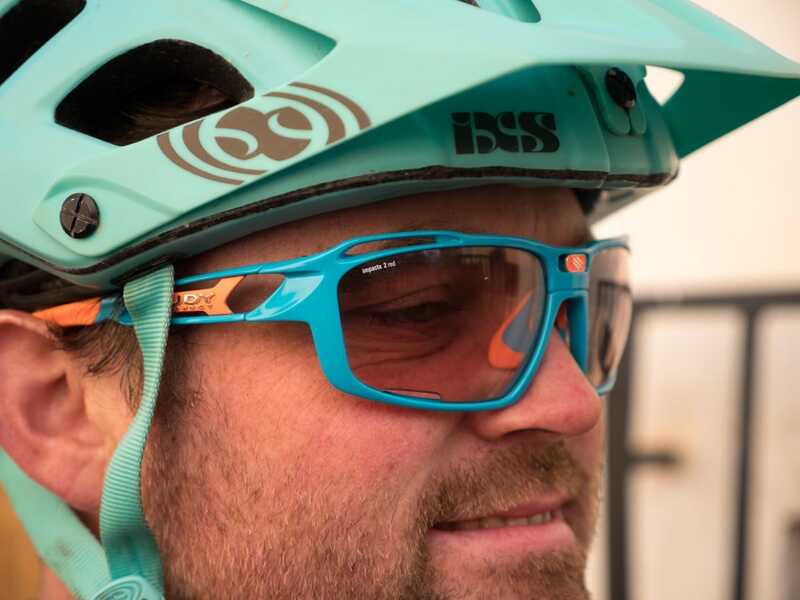 The Impact 2 Red lens is more of a do it all solution in combination with the Sintryx, being Photochromic. Starting off in low light at almost 100% clear, just boasting a small tint in colour, right the way through to a dark enough cast for even the sunniest of days, all accentuated with a subtle red glow, it’s the kind of lens that just makes the world look better. Riding between light and dark, open trail into the trees or shadow, they performed brilliantly and the speed between tints was never an issue. 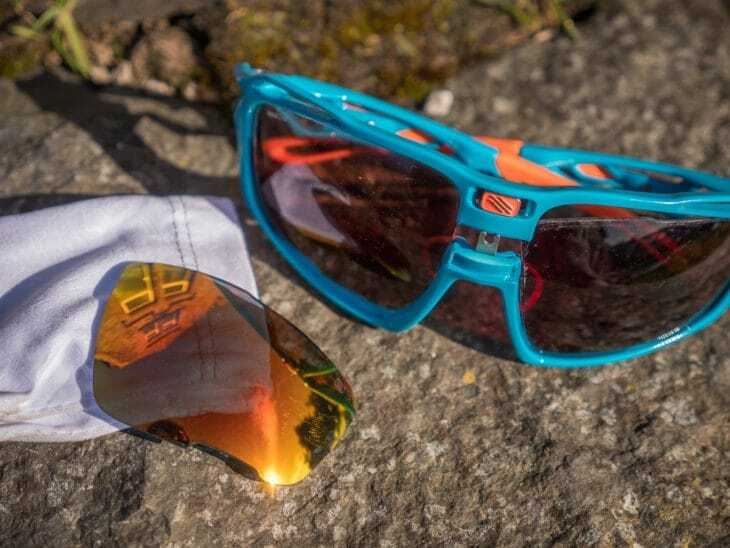 The Impact lenses have a lifetime ‘unbreakable’ guarantee, and although I luckily never had a chance to test this, it is a bold statement that I’d assume a brand like Rudy Project live up to. 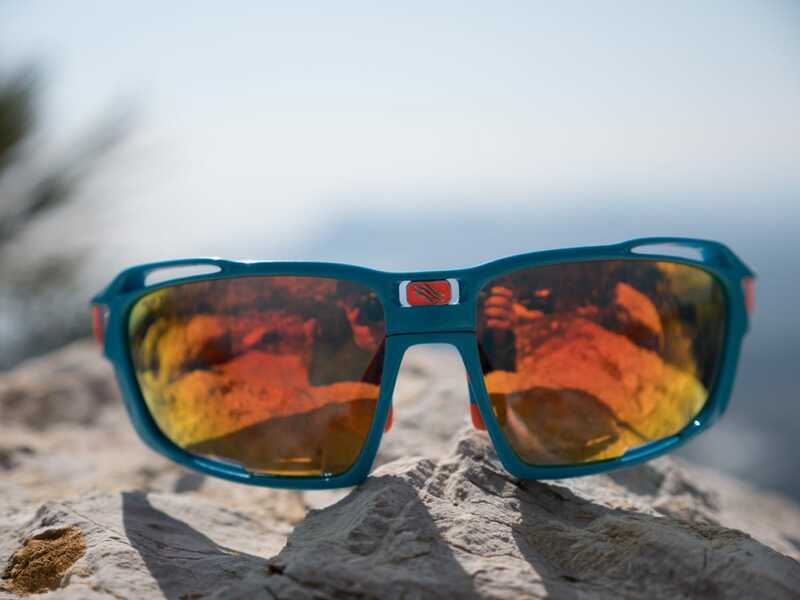 The selection of lenses is a big plus, so you can really tailor the glasses to your needs, on pretty much a day to day basis if you wanted to. Although I thoroughly enjoyed the polarised Polar 3RX lenses, and the clarity they gave, they did seem to scratch on the outer lens quite easily on one of the muddier days, and although not yet visible while wearing I’ll be intrigued to see where they end up after a few more rides. …you can bend the frame quite a lot! Easy to get your new lens option in. Push together until it clicks. The Sintryx has another little trick up its sleeve, that at first glance isn’t all that obvious. The logo on the bridge of the nose is actually a quick release button, which drops the lower half of the glasses away. 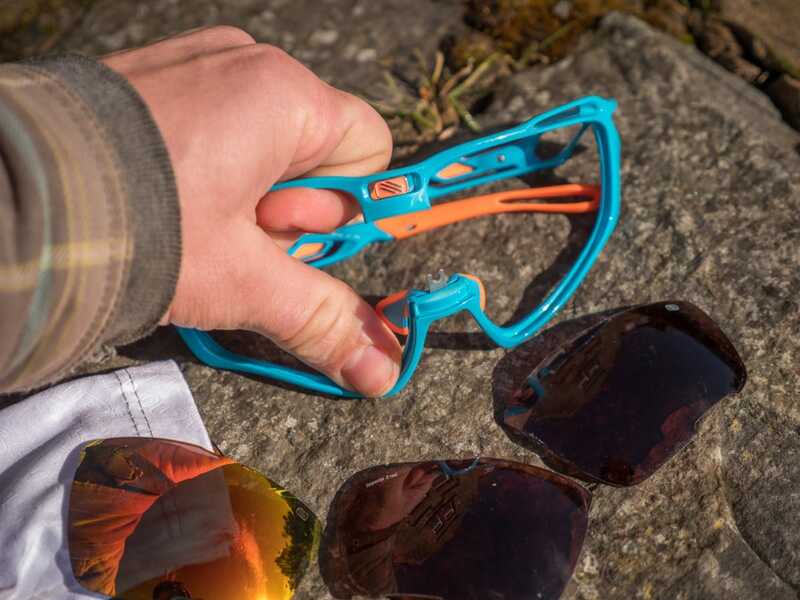 Which, combined with the highly flexible (and lightweight, shock resistant and hypoallergenic) Grilamid thermoplastic frame, makes switching lenses incredibly easy and efficient. There’s no ambiguity as to whether they are firmly in place, with the solid click of the latch the structural rigidity of the glasses is restored with whatever lens suits the ride best. Coat matching colours are available. All in all these glasses really have impressed me. The slightly euro-enduro styling is always going to stick out, although they do also come in a flat black option that I think is a lot more subtle, especially with the abundance of design features. A slight problem with the Azure blue frame also came about on the brighter days I used the glasses, even with the wider wrapped peripheral on the frame, there were still the odd flash of bright blue that could be a little off putting. The fit and adjustability is perfect though, and the lightness of the Sintryx helps keep them comfortable on even the longer stints. They may not be the cheapest pair of glasses on the market, especially with the potential to be adding extra lenses on top, but if you were to take the plunge I don’t think you would be disappointed with the quality and finish on the mountain bike approach to Rudy Project eyewear. Pricey, bit highly versatile and comfortable to boot. Will these take the RX insert? Ace sports glasses brand, highly recomended. Ahh yes the joys of prescription lenses, I was going ot ask about RX ability too. According to Rudy and a number of resellers, these take a clip in RX insert. I’m sticking with my Rydons and selection of lenses though.